On a recent trip to Sydney, I left Mr Steph in charge of organising a nice dinner out. 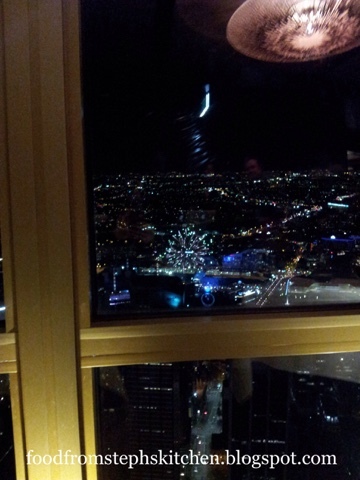 I was delighted to find out he booked dinner at 360 Bar and Dining in Sydney Tower. I have to admit, this was the fanciest dinner I have ever eaten. It was like eating a Masterchef dish - micro-herbs and all! It was so relaxing sitting and looking over the city, slowly moving around 360 degrees until you could see all corners. We were also lucky enough to see fire works going off in the harbour as it was 4th July. The presentation of the dishes were a work of art; pieces placed in delicate order on the plate to create the chef's masterpiece. Luckily, it wasn't just the presentation that was amazing. The food was absolutely beautiful, and we enjoyed every mouthful. 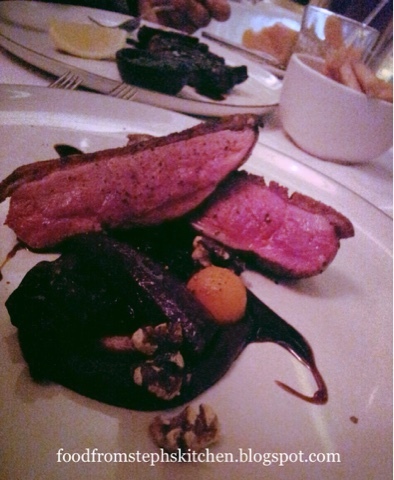 I had a lovely winter duck dish, with purple carrots, sauted mushrooms, walnuts and sweet potato balls. There was this beautiful sauce with it that I still can't quite work out. Mr Steph had the best steak he's ever had, with an amazing rich and velvet red wine jus. Dessert was another Masterchef moment. 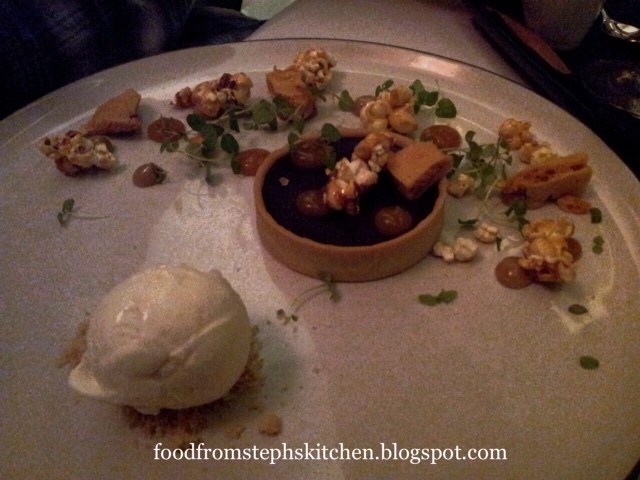 A dark chocolate tart, with buttery, short pastry, caramel popcorn icecream and homemade honeycombe. My deconstructed rhubarb crumble was equally amazing, with rhubarb icecream, rhubarb jelly, stewed rhubarb, and a buttery crumble. It was a great night out, however definitely something for a special occasion. The two courses we had were $85 per person, and it's this price regardless of if you choose a entree and main or main and dessert. You can still enjoy the views for a $20 ticket or spending $20 in the 360 Bar - which is easy with most cocktails around the $19 mark. Overall, a great night out and one I will always remember. Just not one I can afford every week! 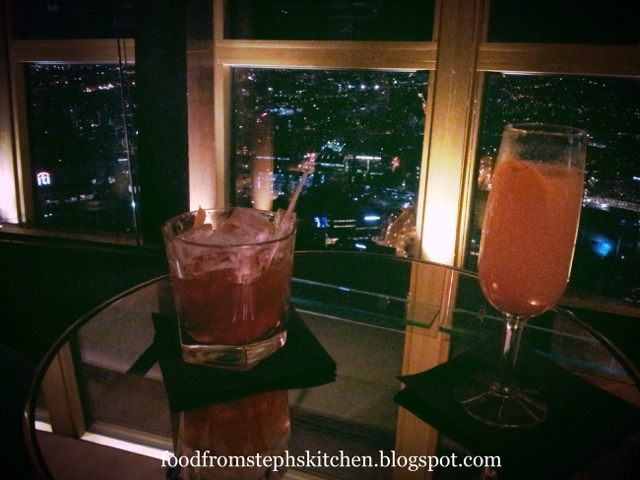 Visit Steph's Kitchen's profile on Pinterest. Copyright Stephanie Duthie, 2013-2014. All images and content the property of Stephanie Duthie. Simple theme. Powered by Blogger.